#1: Everyone has a smartphone today. Almost all of your channel partners, channel partner sales, and their sales engineers—basically EVERYONE you want to engage—have a smartphone. 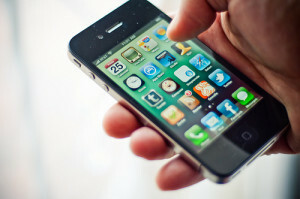 According to a report by NBC News last week, 56% of US adults are using smartphones, up from 35% two years ago. What’s more, when we segment high-earning professionals like our channel partner’s sales and sales engineers, that number goes even higher. #2: Access to your Audience: Much of our audience is in the field—right where we want them to be. Because of this, Mobile allows us unprecedented access to our partners. In fact, most don’t even need to come back to the office to check their emails anymore. That probably also means they aren’t going back to the office to browse what’s new on your partner portal, either. #3: Communication: Your partner program lives where your audience lives, and nowadays that life is mobile, on their smartphone. Your channel marketing logo (http://movethechannel.com/?p=292) can now sit next door to their Twitter, Facebook, and LinkedIn apps, like one big happy community. Making your channel program mobile enables your audience to quickly access key information that can help them sell more, determine what to sell, and close more frequently. In addition to giving them access to these tools, we can also push communications and text messages to them, which comes in handy with promotions and channel reward programs. #4: Motivate and Engage: We’re all familiar with the maxim “out of site, is out of mind.” With a channel program app, we’re never out of sight. Talk about mindshare! Also, a mobile app means we don’t have to wait for the participant to come to us; now we can come to them. For example, we can now push notifications about incentive promotions for certain products, offer leaderboard updates, let participants know their percent to goal, and send them an alert when they have enough points to redeem for that family vacation on their program Wish List! #5: Capture Key Insight: With mobile apps you can also capture key data that is critical to your business. One challenge of a channel go-to-market strategy is that you lose a little bit of direct access to the end-user. But now, you can reward your channel partners for uploading pictures of the solution or the competitive product that needs replaced. Do people still talk about conversions as a KPI? You can also have a claims process on the app so helps ensure you are giving credit to the right sales person or SE at the right partner. The biggest question in terms of going mobile: Where do I get started? To develop a simple iPhone or Android App starts at around $45,000 and goes up from there. If you are working on a partner platform it is a much smaller investment for Mobile Apps features. For example we will soon be offering a “Starter App” for our client’s channel incentive reward program that starts at around $10,000. Looking for some mobile ideas? Shoot me an email with any questions. Do you have a Mobile App for your Channel Marketing & Channel Incentive Program?